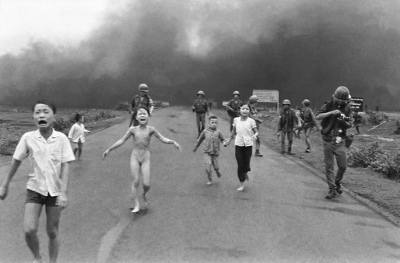 Facebook was under heavy scrutiny in September for removing the image of 9-year-old Kim Phuc, a young Vietnamese girl who was running, naked, from her village. Norwegian Prime Minister Erna Solberg had posted the image. Facebook removed the image because it did not meet their standards for appropriate material. This was one instance in a long series of Facebook removing content it deemed inappropriate, often having to do with protests and human rights issues. In response, 70 rights groups from a wide range of causes requested that Facebook clarify its policies. Prior to this, Facebook has reserved the right to use its own discretion to determine what qualifies as “appropriate” content. Walker framed the company’s goal as: “Our intent is to allow more images and stories without posing safety risks or showing graphic images to minors and others who do not want to see them.” But Facebook also served as a major distributor of information and news. With this in mind, should the company be held to the ethical standards of a traditional news source? Previous Secret Conversations Possible? No Government Oversight Whatsoever?